We advise anyone with symptoms to contact their GP. The illness usually resolves within 1 to 4 weeks. The average incubation period (the period of time you can have the infection before developing symptoms) for hepatitis E is 40 days with a range of 15 to 60 days. People who live in or travel to countries with poor sanitation are at most risk. The virus is common in many parts of central and south-east Asia, the Middle East and North Africa, the Mediterranean region, Mexico and South America. 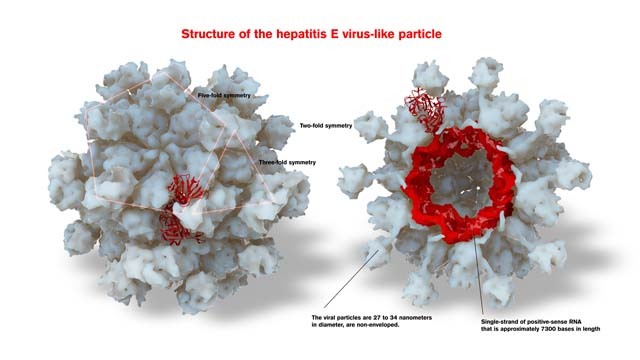 Over 60% of all hepatitis E infections occur in East and South Asia. In Australia, those who eat undercooked pork products, particularly pork livers, are at risk of becoming infected. Most people do not require treatment, as their infections will clear naturally. While infected, we advise avoiding alcohol during the course of their illness. Pregnant women should seek advice from their antenatal carer.